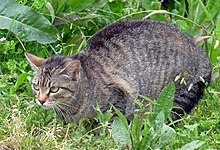 Truncated thoughts: Are entrepreneurs like feral cats? Are entrepreneurs like feral cats? There’s an interesting piece by Vojak, Bruce A., who draws an analogy between feral cats (housecats who’ve been born in the wild, or who have become wild) and entrepreneurs and intrapreneurs.